You’ve spoken, we’ve listened. It’s time to look into the vault and bring back something that was undeniably one of the greatest creations Storm has produced to date. A highly polished R2X pearl blend made the most sense being that we were looking to create a stronger move to the pocket. Custom-engineered for the player who desires low, stable spin with forgiveness, the Centripetal Core features a center of gravity that is extremely low. Custom-engineered for the player who desires low, stable spin with forgiveness, the Centripetal Core features a center of gravity that is extremely low. The innovative cascading channels engage the circumference of the weight block and maximize mid-lane control with a smoother change of direction downlane. As a 16 year old bowling for so many years, I needed one of the best balls ever created. I decided to pick one up in January of 2018,m and it has truly been one of the greatest investment I have ever made. Out of the box it was smooth yet had an amazing read through the mids and made a strong yet controllable turn to the pocket. 11 months into me having the ball, it helped me shoot 300-278-255 for an 833 series. I am truly grateful Storm re-released this GOAT and can't wait to pick up another one soon!! I really enjoy this ball. It’s not too snappy for a pearl and amazingly consistent. I have a 215 average and am a stroker. This ball allows me to get slightly left of the track area on a fresh house shot. When the lanes start to burn I can move left and still get this ball to come back from deeper shots. What I Like: That I now understand why this ball was re-released. Easy to use and to read the motion of the ball, very solid in front part of the lane and not over angular like Timeless or the Code series. The ball works great on HPL surfaces that are worn or little bit strong on the friction side. Can be the first ball out of the bag for any league and tournament bowler and stay with it all match long. Great ball also on medium to long sport patterns and seems to be the real “go to” ball for several serious league and tournament bowlers. The ball can be a bench mark ball for any type and level of bowler. Glad to have you back Marvel Pearl. I purchased this ball today, September 2, 2017 exactly 2 months after this ball was placed back into production. What an awesome BALL. Steve thank you. Way to go STORM. Just like Mason Storm, you can't be stopped. 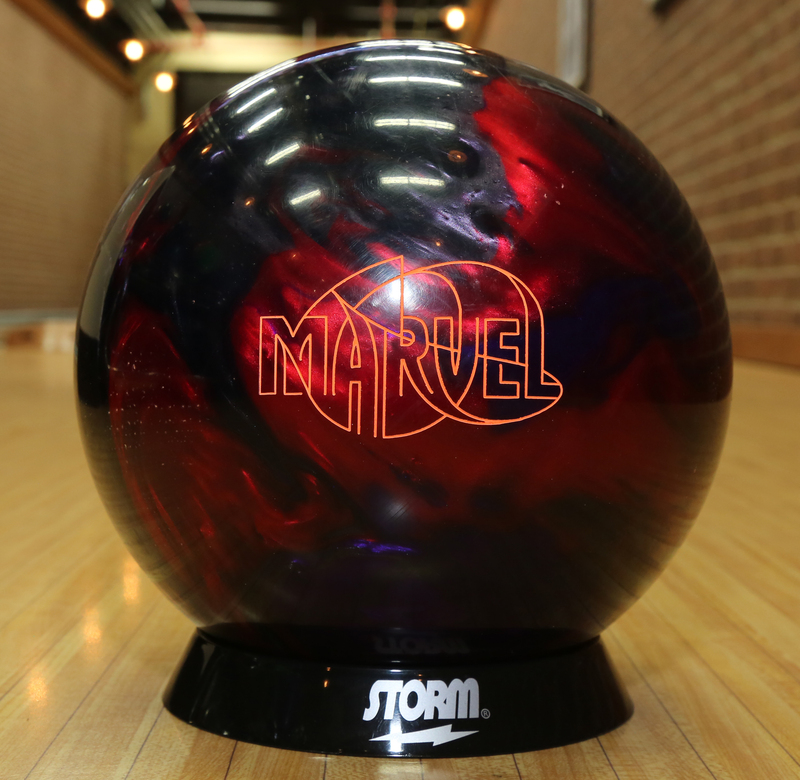 The New Storm Marvel Pearl has the same core found in both the original solid Marvel and the original Prodigy. This bowling ball has an lower RG core which is combined with a pearlized coverstock that gives the Marvel Pearl more punch power at the back end. The cover for this ball is the same pearlized formulation found on the Prodigy, but the Enhanced Traction Mica has been removed. 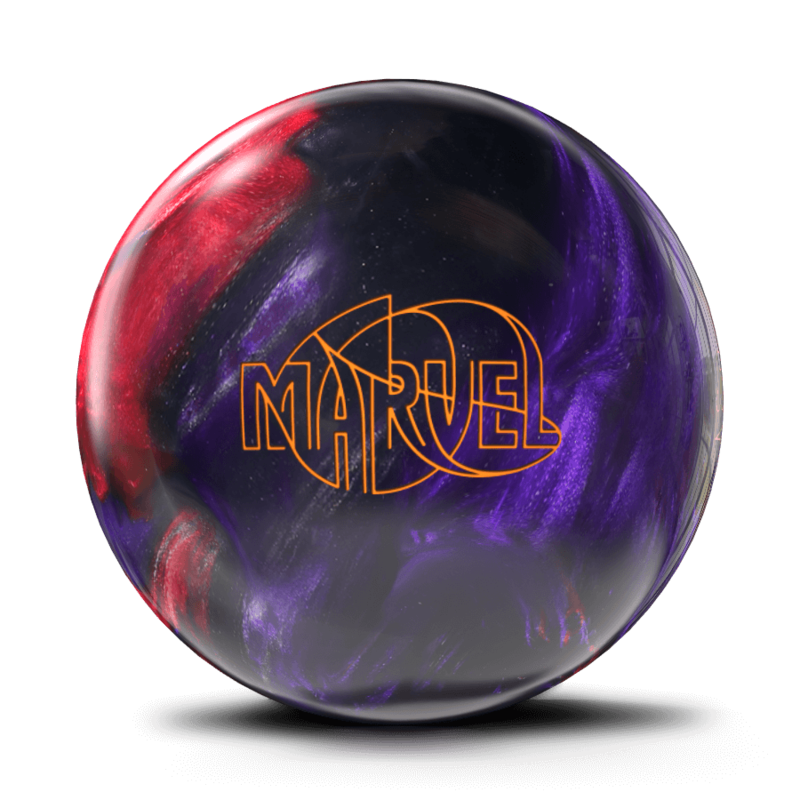 This cover creates a strong change of motion and direction when the ball encounters friction.The overall ball motion for the Marvel Pearl creates worked best on our medium pattern and on some high oil lanes, what got my attention was the Marvel Pearl was the distinct motion it offered while going down lane. While the back end was more than other balls in the top line, it was far from being a skid/flip kind of ball. The motion seemed of something from years past. The Marvel Pearl has a big hook potential for a shiny pearlized ball. Shiny bowling ball stores more energy so tend to hook a little less. On heavy pattern had with a tad too much oil for the Marvel Pearl to create the right ball motion or traction it needed to make it back to the pocket. You can use an 2000 Abralon pad on the Marvel Pearl which roughing up coverstock which will give an additional friction needed to combat the oil pattern. On the drier lane conditions will require a nice coat of bowling ball polish and possibly drill the ball with a weak layout. The box finish is simply good for medium conditions. Higher ball speed increases the chance for success on this pattern. Great ball. I am still using one and have another new one in its box waiting its turn. I will definately buy a couple when the new ones are released in July. Thank you very much storm. Don't ever retire this ball!